CNN's Christiane Amanpour has a staunchly liberal track record, so perhaps it's surprising that she was so candid about the Obama administration overseas like she was in Morocco on Thursday. According to CNN.com, Amanpour "described the U.S. administration of President Barack Obama as the most 'litigious against journalists that we have had in decades'." 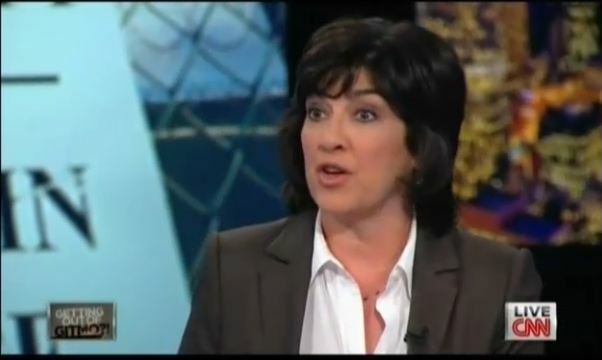 Amanpour's warning of the rise in acrimony, CNN noted, was "making clear it was not just a problem in emerging democracies such as Turkey, Cairo and Sri Lanka." However, she still cautioned that the media shouldn't lose all hope in the government, stating "We are also at risk of further tearing down the fabric of civil society by adding to the notion that every form of authority is simply useless; hopeless."